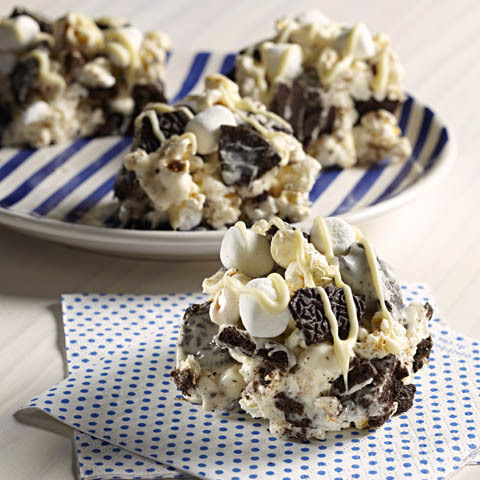 Place 4 graham squares in single layer on rimmed baking sheet; top with marshmallows. Bake 2 min. or until marshmallows are puffed. Immediately place remaining graham squares in single layer on baking sheet; top with chocolate. 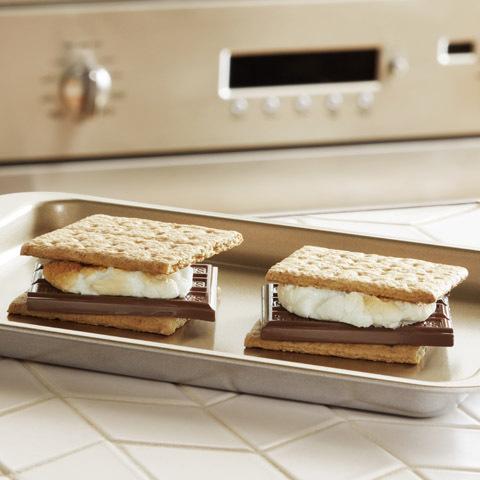 Use spatula to carefully flip marshmallow-topped grahams, 1 at a time, over chocolate-topped grahams to make 4 s'mores. Press gently onto top grahams to secure. 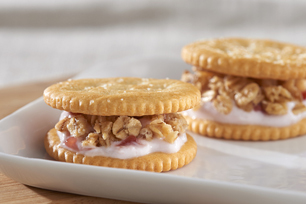 CautionThe marshmallow-topped grahams will be hot. Adult supervision is required. "Just Chill"Do you enjoy s'mores but not the gooey mess when eating? 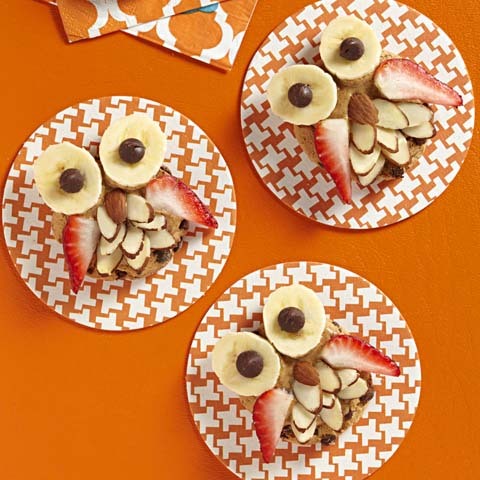 After preparing the s'mores, refrigerate the warm s'mores for a few minutes before serving. 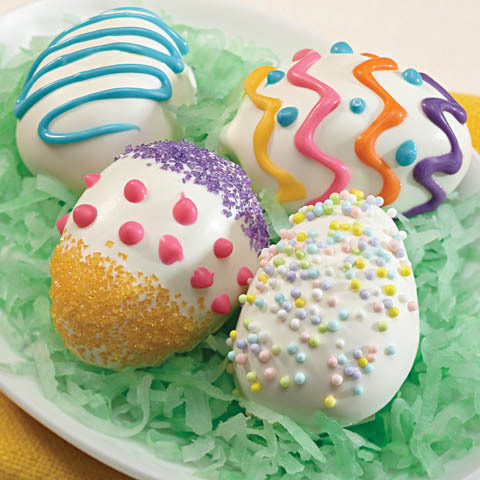 The marshmallows and chocolate will firm just enough for mess-free eating but still remain soft in the centers. It's the best of both worlds! 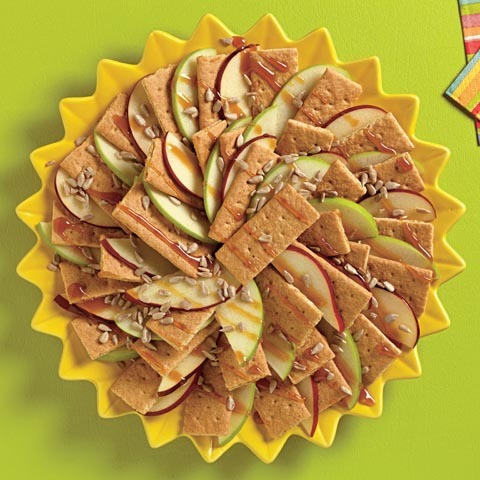 Easy CleanupFor easy cleanup, cover baking sheet with parchment or foil before using.